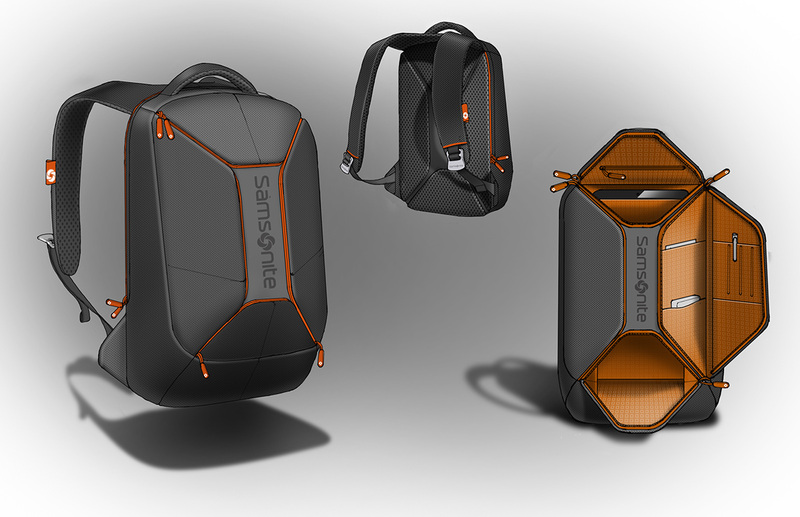 Sketches and sketch renderings from various projects that include one of the sketch concepts for a project with Targus, a hospital monitor, Bodyglove mobile phone cases, backpack designs for Samsonite, and point of purchase display concepts for Reebok. 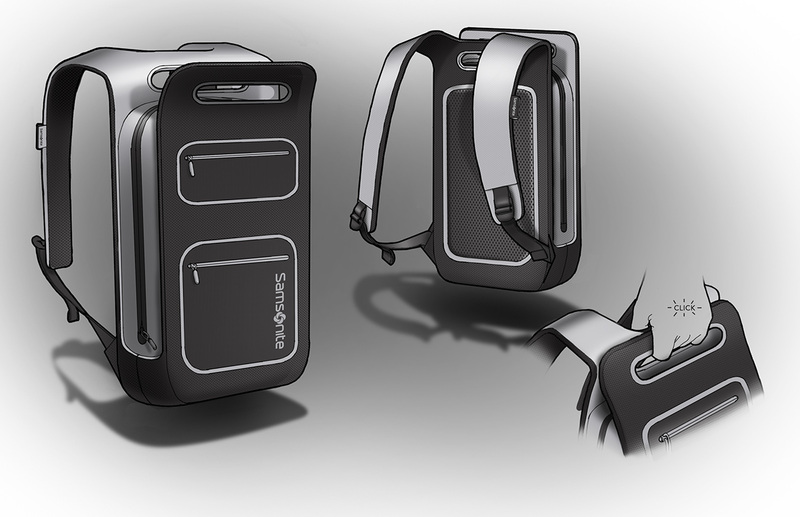 The above is a sketch rendering of a concept for a computer periphery product line for Targus. 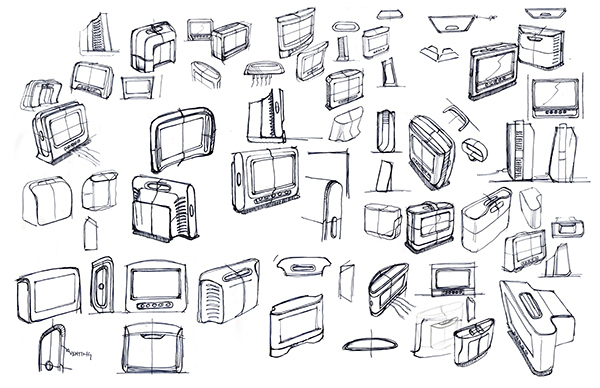 The above is a revealing sketch page showing my explorations of a number of silhouettes and form studies of a hospital bedside monitor. Some of these were just horrible (something I tend to work through in the beginning) whereas others evolved into the below concepts. 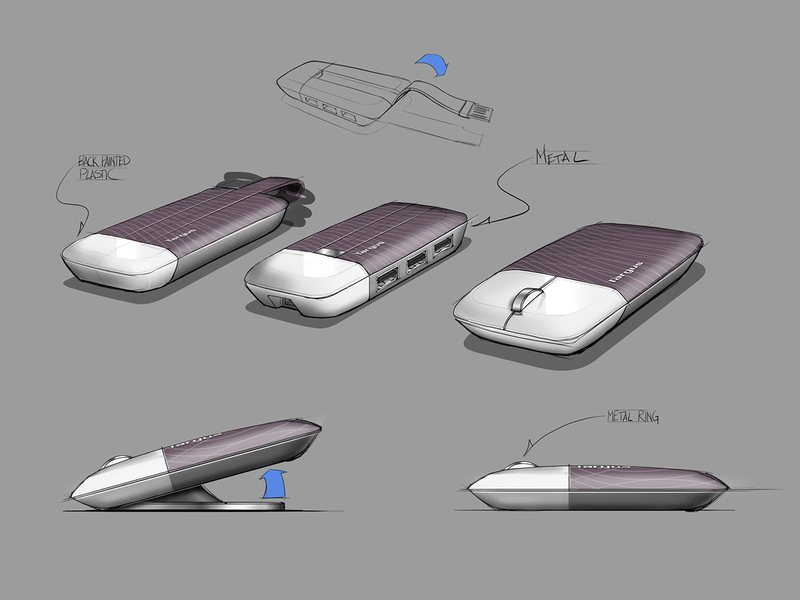 The above sketch renderings are an evolution of two of the ideas from the sketch page after adding the realities of scale, proportion, and functional features to the design. 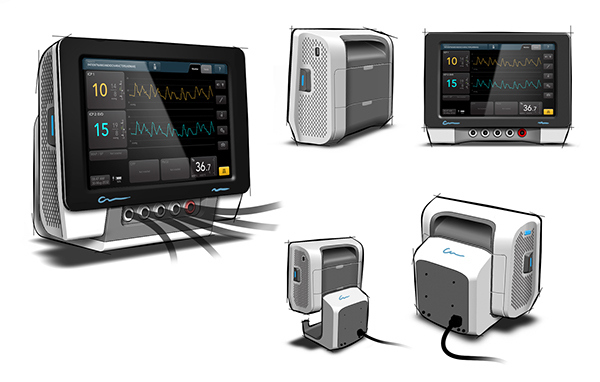 A concept sketch for a portable, rugged diagnostics appliance to be used by clinicians in countries lacking important health resources. 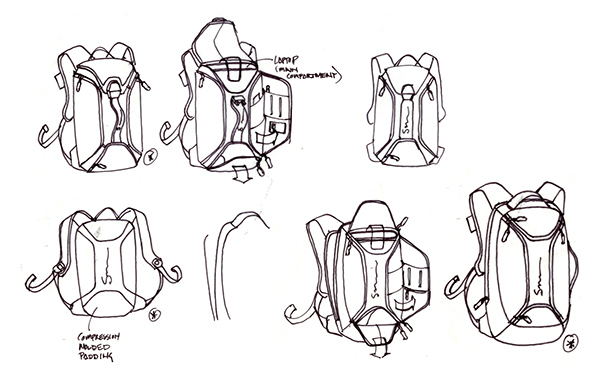 The above are pages taken straight from a presentation given to the Bodyglove team on concept iterations for mobile phone cases. 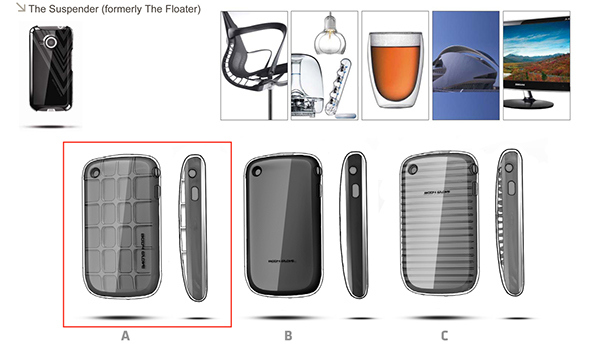 The Suspender concept was an idea looking at suspending a phone as if it were petrified in plastic. 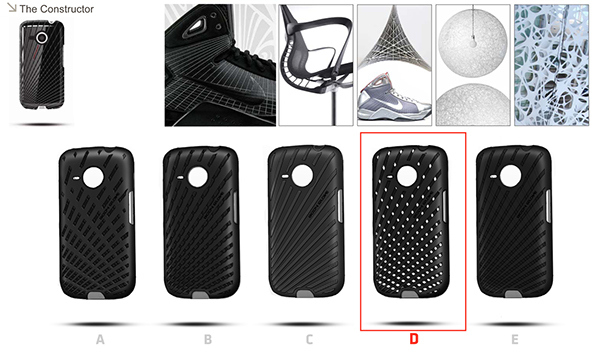 The Constructor was a concept emphasizing a lattice-like pattern. One direction o the lattice being a hard plastic, the other direction a soft elastomer. All of the concepts centered around protection. 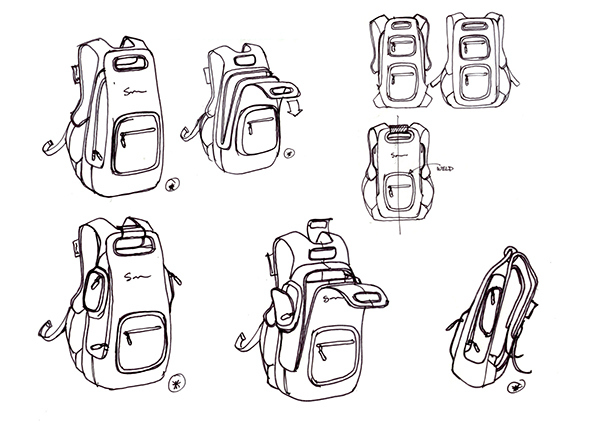 The above are several of the rough doodles exploring some of the various concepts of backpacks for Samsonite. Some of the sketches are quite horsey, but I wanted to show the good, bad, and ugly so you can see how they translate into refined ideas below. 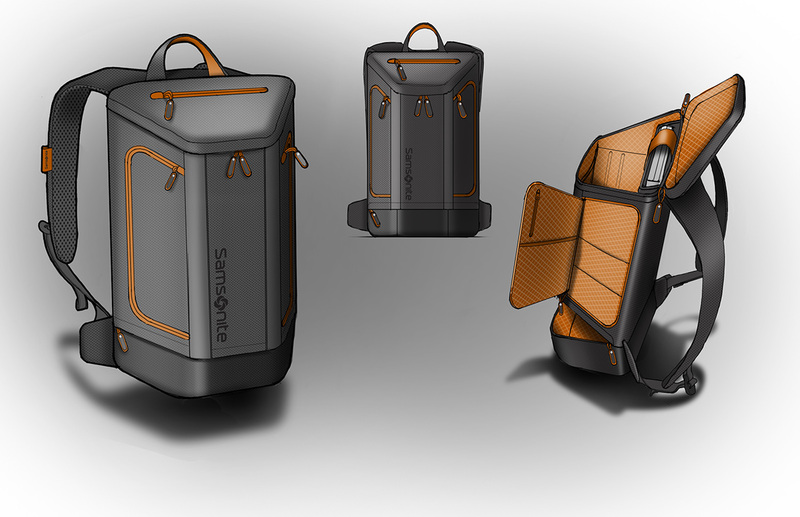 The above are a couple of the refined sketch concepts we presented to Samsonite for this youth backpack segment. The above are pen on tracing paper ideation sketches of p.o.p. 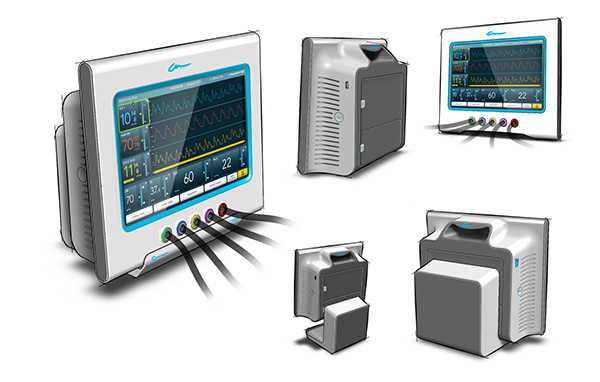 concepts for both ZigTech and RealFlex categories. 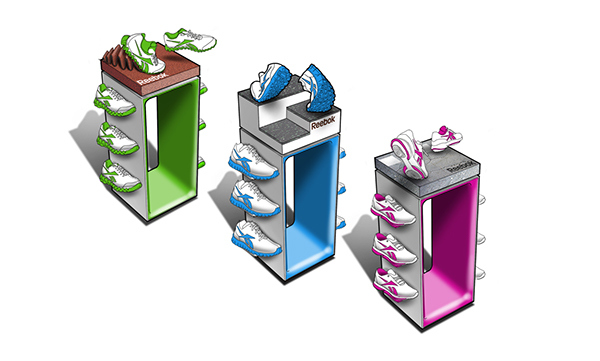 Our main task was to explore various ways to emphasize Reebok's core technologies. Some of the concepts above also explore ways of showing a Crossfit integration - something Reebok is an official sponsor of. 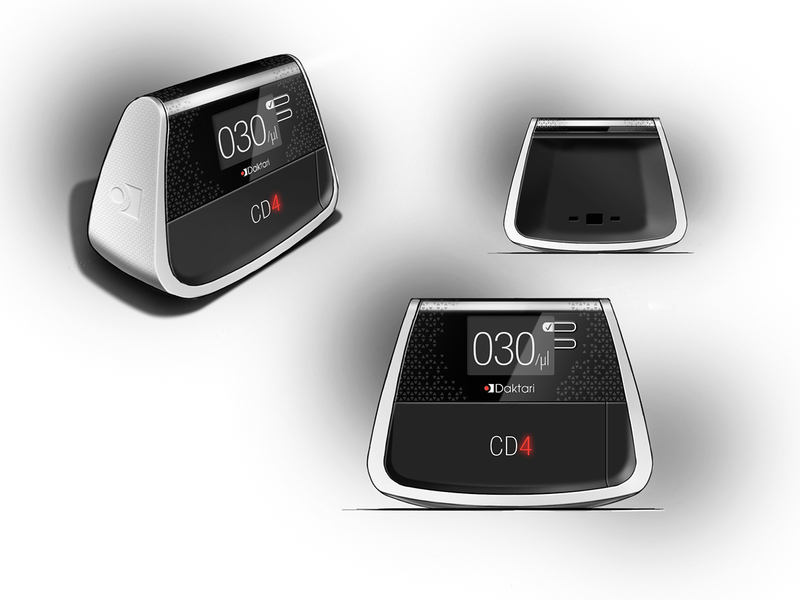 These are sketch renderings of one of the several concepts we presented. The idea was to highlight the footwear in action and bring in a little context. 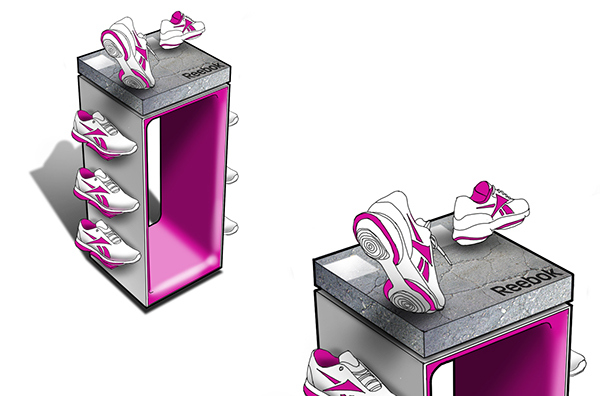 Hence, the piece of concrete crowning the top of the display for the EasyTone walking shoes. This is a compilation of various sketches and sketch rendering from several different projects.